Today only, while supplies last, Save up to 55% on select Ride-Ons! 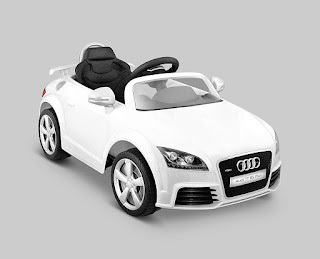 As one example, this Kid Motorz 401 Audi Tt Rs One Seater Car is ONLY $130.59 (Retail $299.99)! Head over and browse around for your favorite deals, but hurry! Selection is going fast!